This Heritage Collection table runner will be a true heirloom! It is approx 14.5" x 60" and is made of 80% wool and 20% synthetic fabric with 100% cotton backing. Dry clean only, when needed. 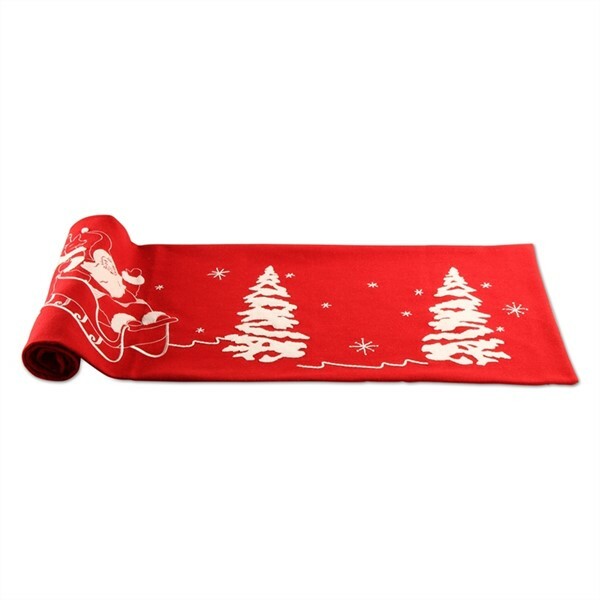 Featuring Santa in his sleigh with trees and snowflakes hand embroidered and appliqued in white on Christmas red. This is a treasure!